Food And Thought . . .
Herbal taste is a foundational concept in understanding how herbs work in your body and in a dish. Particular tastes actually produce direct chemical reactions that effect your body, for instance sweet herbs are nourishing; while pungent herbs disperse; and warm, bitter herbs cool as well as detoxify. We use fresh herbs often as possible due to the concentrated nutritional power. 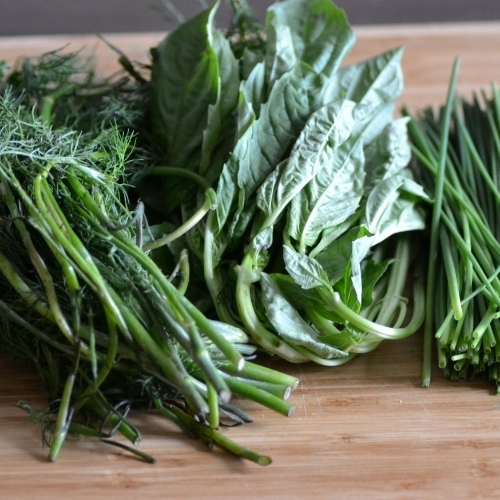 Fresh herbs offer a bouquet of delights. A delicious meal is usually a direct result of the correct and creative use of spices and seasonings. 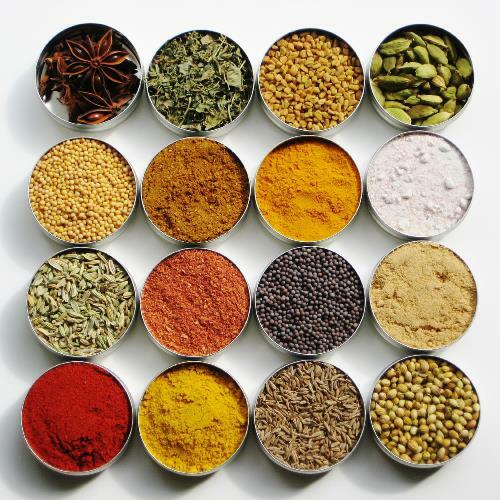 Dried spices also add a nutritional value and can really help improve dish's flavor profile. Used on all sorts of meat a dried spice rub can also be great as a substitute for reducing the amount of sodium (salt) used in a dish.